The First Essential - Concentration. The first essential for the child's development is concentration. It lays the whole basis for his character and social behaviour. The child whose attention has once been held by a chosen object, while he concentrates his whole self on the repetition of the exercise, is a delivered soul in the sense of spiritual safety of which we speak. From this moment there is no need to worry about him - except to prepare an environment which satisfies his needs, and to remove obstacles which may bar his way to perfection. - Maria Montessori. The Absorbent Mind. As with many children Otis often moves quickly from one activity to the next. I remind myself while he is working, if only for five minutes, I can see him in deep concentration. His repetition is testament to his engagement. I also remind myself it is my responsibility to provide an environment that not only supports but promotes his work and his concentration. Maria Montessori writes that the essential thing is for the task to arouse such an interest in that it engages the child's whole personality... We must provide "motives for activity" so well adapted to the child's interests that they provoke his deep attention. For me this means engagement. Providing an environment that engages the child on a deep and personal level. For young children like Otis I think it's important to note that concentration is not always about sitting still and working. There are many gross motor activities that are engaging to a child of this age. Also that the work must be purposeful and real. Polk Lillard and Lillard Jessen in Montessori from the Start state the parents' challenge is to establish a home environment that encourages the development of concentration from the child's infancy. I appreciate that they call it a challenge. Observing Otis. What holds his attention? What is his focus? Ensuring the materials that he uses the most are well maintained, accessible and organised. Ensuring his creative endeavours are provided for. Keeping myself in check! Hands off, while ensuring Otis is supervised and has adequate space and time. Being a good role model. Ensuring Otis can observe me working, reading, concentrating with interest and focus. Ensuring Otis has opportunity for outside and gross motor activities throughout the day and evening, that he has the opportunity to work with whole of body movements. Ensuring Otis has quiet and calm one on one time with me each day. Working with Otis on relaxation and meditation at the end of the day. 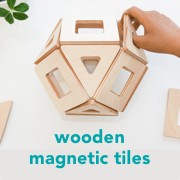 There is a great article on Montessori and concentration here. Looking for a new art activity? How about Lino Printing? In the weeks before the school holidays I like to stock up on new art materials. I'm usually looking for something different - something we haven't used before. These Ezy-Carve blocks were just too tempting and we used them straight away. We tried the Ezy-Carve blocks because they are smoother and softer than lino blocks. We also used lino carving tools, printing ink and rubber rollers. The ink was a little more expensive than paint. I've shared this with friends who feel that paint doesn't give the same finish and although the ink is slightly more expensive it will give a better result even for children. Ink is thinner and smoother and will give better coverage. The ink was washable although we didn't get any on our clothing. I gave Caspar two lessons. One included reading through this page by Art for Small Hands. He really enjoyed it and I think it's because he could see work by other children. The lesson also included looking at and discussing prints by other artists. The second lesson was purely technique - how to use the tools and apply the ink. Caspar's first print was really simple and he learnt a lot. Although Otis didn't join in on the carving he loved the printing. Thankfully a little ink goes a long way. I couldn't help myself either. We still have a few of these larger printing blocks spare. It's nice to work along side the children - and share in the delight when a print works out. Around the World from a to z - Brilliant Book! Connecting tactile activities to abstract ideas stimulates brain function in young children. When children under age five trace sandpaper letters, they associate a given letter with a concrete gesture internally. This association fosters more connections in different parts of the brain, rendering the child's mind nimbler. The acrostic poem accompanying each letter is designed to be read by an adult. These poems introduce the child to a famous site and physical activity. The letters of the alphabet thus become part of an exploration of nature, culture, and traditions. Tracing leads the way to a discovery of the world. The systematic inclusion of maps suggests that learning about language is ultimately learning about the world. We are all beings communicating in a vast world of events, landscapes, and history. We hope that this alphabet book will carry a global message to your children, wherever on Earth they happen to be. This book is too beautiful not to mention. The sandpaper letters are in a large format and are in cursive. The pages are thick card but this is not a board book. Part of the charm of this book is that each letter is linked to an action or activity in specific locations around the world. This makes it a fantastic book to read alongside a continents globe. As the poem is intended to be read to the child, this is a book to read together. This allows the adult to explore the activity in the picture with the child and work with the globe together. For example Otis, my three year old would love the picture of fencing however it's possible it would need explaining, he knows of France however may need help to find it on the globe. Over time reading this book would definitely have the child recognising world land marks (there are so many in here) - which I totally love and as it's cursive it's a double love from me. Around the World from a to z by Christina Cheung and Han Tran. I Spy is such an important game to play at home because children are often learning and are interested in letters long before they start school. If a child is talking about letters it's a good indication they are wanting to know more and often children will start noticing and working them out themselves. As with many children Otis' awareness started with the letter of his name 'o' Otis, his brother 'c' 'Caspar and Mum and Dad. I Spy is a great way to extend that awareness to other objects - you could even use photographs of people! I Spy can be played at a level suited to the child. To begin with it's easiest to play while at home on a tray or workmat. Later the game can be played anywhere, waiting rooms, markets or casually while out driving in the car. Start with one object and work from there. It's a good idea to use objects that the child is already familiar with. This is why we find model animals and everyday household objects work so well. I've shown three games I have used with Otis as examples. Start with one object the child is familiar with. Place the object in front of the child and say "I spy with my little eye something that beings with _". Allow the child time to guess and name the object. Prompt the child if necessary and say the whole word. "I spy with my little eye something that starts with buh (pause) buh - nana." Ensure you clearly articulate your sounds. Use two objects that start with different letters. Ensure the letters the objects start with are not similar, for example don't use 'b' and 'd' or 'd' and 'p'. For example try 'a' apple and 'b' banana or 'd' dog and 'c' cat. Play as above and only prompt your child if necessary. You may like to take turns with the child. Once they know how to play the game they may like to be the one who says "I spy with my little eye something that begins with _" and you have to be the one to guess the object. Otis loves doing this. Slowly increase the number of objects to five or six. Increase the difficulty with similar sounds or objects with the same starting letter. This is the level Otis is now at but his success is variable. Start playing the game using objects in the room you can see. Begin with obvious items and over time move to more discreet objects. Once you are playing with much success (and this may be many months later) begin to play the game with the letter the words end in "I spy with my little eye something that ends with _'. By this time the child may be sounding out all the letters in a word and using sandpaper letters and movable alphabet. In the tray below there are three items that start with 'c' - this makes it harder for Otis but he has a lot of fun, I will ask him to find all three - crab, cow and cat. It is so important that this is played as a game - that it is fun, that the child (and the parent) enjoys it. It should include lots of giggles and laughter. We will end the game if Otis gets too silly but he will often pretend he is a snake, or the snake will eat the cat or there will be tickles with the feather etc. 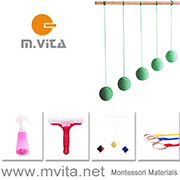 If you are wanting extension ideas or more detailed information on how to play I suggest Montessori Read and Write: A Parents' Guide to Literacy for Children and Basic Montessori: Learning Activities for Under-Fives. Both of these books have a detailed section on I Spy and other sound games. P.S. I have a fantastic new sandpaper letter book to share with you tomorrow! It's in cursive and it's beautiful. I know it's common for children to start drawing circles very early. However Otis has been using the 'o' sandpaper letter at school and understands 'o' is for 'Otis'. His teacher has previously discussed teaching him phonetically what I think is called the long 'o' first - so it sounds like the 'o' in his name. Otis has access to lovely crayons and pencils however I like to ensure he has other writing tools as well. Chalk is great for children who like to write, rub it out and then write again. He also loves the sand tray. A paint tray is also fun, we could put paper over the top to make a print. We've used a roller to get the paint smooth on the tray like this. A flour tray is a also a good option if you can't find clean sand or just want to put something together quick. This is a little messier as Otis got flour all over his arm and shirt (and face!). I can't say I've seen this used by others learning to write (for the purposes of writing) however I find charcoal really smooth on paper. I think it is a great option to strengthen the hand and to increase hand control. I'm sure it would be nice to use while learning cursive (his school sandpaper letters are cursive). It will be interesting to see which letter he learns next. Apples - three ways. Enjoying the simple things. Do you know your apple varieties and seasons - or are you like me and need a chart? All I need to do is look at the markets (we've been enjoying the Northside UC Farmers Market - and the nutella waffles!) to see there is plenty in season. We're hoping to bake some - if Otis stops eating them all. I often see toddlers with this apple slicer/corer but it is still difficult for Otis to use at three. It is good a tool though as the child needs to put their hands on the handles to press down, keeping fingers safely out of the way. I cut the apple in half horizontally so it sits flat on the cutting board. Also Otis is high above the apple (if a child is at a small table they will want to stand) so he gets his weight behind him to get leverage to slice through the apple. He also rocks the slicer/corer slightly from side to side if it gets stuck. Do your children like to eat peel? Otis is going through a stage where peel/skin/crust is not acceptable, he will eat around it and likes everything peeled if possible. It's also fun to use cookie cutters to make snack. They can be used on all types of food - bread, cheese slices and why not fruit! This was fun for number recognition. I was hoping to place the numbers in order, do some counting but not a chance - he ate them straight away.